As much as I want to like overalls, I'm still convinced that I would resemble a three year old from the 90s or a hillbilly. But, I have become a full fledged romper convert. I like to think that they are appropriate onesies but much more- here comes that word- chic. Despite the fact that they are a complete outfit in one, the amount of versatility is quite impressive. Especially this pair from the Addison x WeWoreWhat collection, having them be in my favorite shade of all; white. 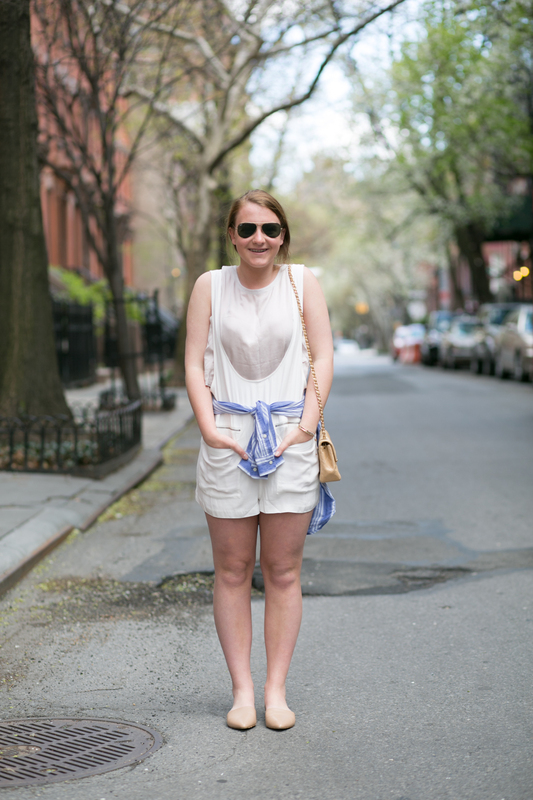 The blogger behind the collection, Danielle has nailed overalls, so no surprise on how perfect this little romper is. 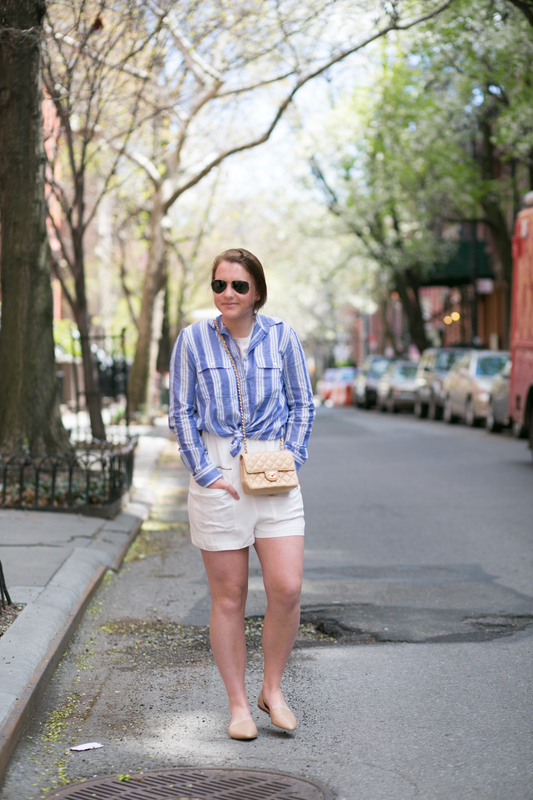 Knowing me, a striped pullover and neutral flats appear in every outfit and well... Creature of habit, I digress. Alas, I plan to venture into overall territory this summer, but until then I am a-ok wearing this romper and many many more.